A native of England a U.S. citizen for the past 30 years, I have worked in the garden world as a director and designer for over 35 years. I am best-known for my groundbreaking designs at Chanticleer, an estate and “pleasure garden” in Wayne, PA, where I worked for 20 years. Career Highlights I started my gardening life at the Royal Botanical Gardens, Kew, England, where I was trained as a gardener. I worked in three other gardens in the UK, notably Portmeirion in Wales, Bateman’s in Sussex, and Cliveden in Buckinghamshire. At Bateman’s, I was responsible for the restoration of the 17th-century garden. I came to the U.S. in 1981 and was director and chief designer of Chanticleer in Pennsylvania for the next 20 years. I transformed a moribund private estate into one of America’s most exuberant, romantic and flamboyant gardens. Its glorious 47 acres have been celebrated by gardeners and horticulturists from around the world and, based on my designs, it continues to draw international visitors every season. After twenty years creating Chanticleer, I became vice president for horticulture for the Santa Barbara Botanical Garden and, in 2006, was appointed director of the VanDusen Botanical Garden in Vancouver, Canada. While pleased to be in Canada, my heart yearned for California and in 2008 he was appointed executive director of the Mendocino Coast Botanical Garden. After a successful period in northern California, he returned to his home near Santa Barbara, CA where I operated my own design-consulting business. In 2012, I was lured back east by The Pennsylvania Horticultural Society (founded in 1827) and appointed director of its private estate and garden, Meadowbrook Farm. I was commissioned by PHS to design the central feature for the 2013 Philadelphia Flower Show, the third major exhibit I have designed for PHS over the years. Among numerous other responsibilities, I have been a member of the board of the Fairmount Park Conservancy in Philadelphia and a founding member of the business advisory board for the Flora of North America Project. I have designed gardens in Chicago, northern and southern California, and throughout the Northeastern United States. I have also been a consultant to the Garden Conservancy and to Botanic Gardens Conservation International, as well as serving on the horticulture advisory committee of Lotusland in Santa Barbara, California. I have been the Advancement Advisor for the Flora of North America Association and am now traveling the world researching, interviewing, and photographing for a book on gardens around the world. Books & Awards My n first book, The Encyclopedia of Perennials, was published in 1992 by Facts on File. 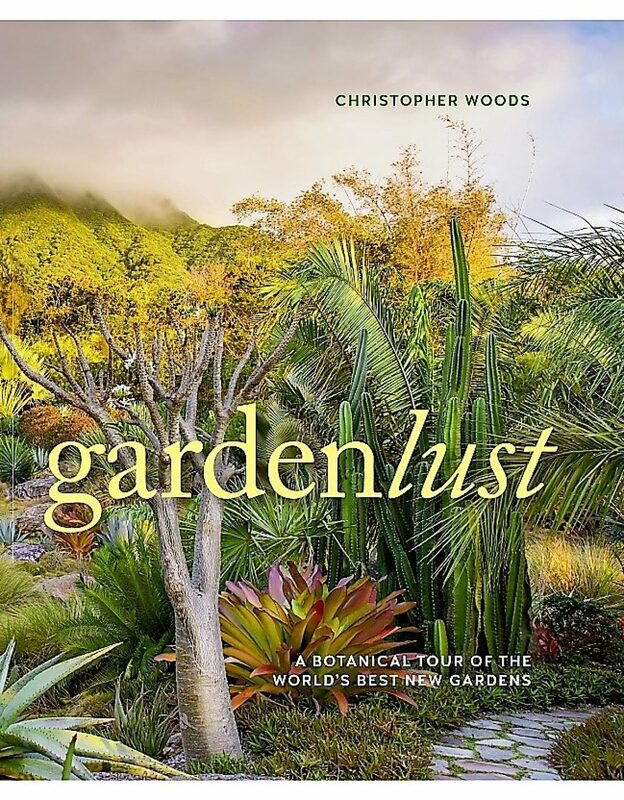 I also contributed to 1001 Gardens to See Before You Die (Barron's Educational Series, 2012) and The Gardener’s Garden (Phaidon Press, 2014). In 2003, I was awarded the Professional Citation for significant achievements in public horticulture by the American Public Garden Association. In 2007, The Pennsylvania Horticultural Society awarded me its prestigious medal for Distinguished Achievement. I currently live in the Bay Area, California. We talk too much and see too little. Last year, I drove from my home in California, to the White Mountains on the California/Nevada border. Ostensibly this was a pilgrimage of sorts. A journey to see the Bristlecone Pines, one of, if not the oldest, living things on this planet. High on the mountain, in the Inyo National Forest, the Great Basin Bristlecone Pine (Pinus longaeva) grows in the dry, sun-burned whiteness of the Taiga and Boreal Forest eco-region. The oldest trees have been dated to about 5,000 years old. To visit them is to enter into a place that could be called a cathedral, a temple, mosque or sacred space. It is very quiet on top of the mountain and in the presence of the pines. A profound quiet that slows the chattering mind. There is nothing to do here except breath and see. Last March, I gave a talk at the San Francisco Flower Show. What struck me was that all of us were talking about plants, beauty, horticulture, and the well-being that plants bring to our lives. We were doing so in a dark, enclosed auditorium, with a somewhat morbid atmosphere. Meanwhile, outside, in the hills and grasslands of Northern California, the real flower show was happening. It had been spring since late January, and despite the lack of rain, the hills were exploding with wildflowers. Yet here we were, talking about the joy of plants at the same time that we were denying our audience the opportunity to go outside and see the real thing. It may be that we are afraid of the contemplative silence that plants and gardening brings to us. We may value silence but we only give it lip service, so to speak. But gardening brings us to silence. Valuable exchange of information, communicating our successes and failures is important in this horticultural art. But so is the path to a quieter environment and a quieter mind. We know, intuitively if not scientifically, that we are going crazy from the increasing noise of our civilization. Years ago, when audio guides to gardens were being touted, I was approached by a company who wanted to sell me this technology. I replied to their sales pitch by saying, “Wouldn’t it be a more rewarding experience to hear the wind in the grass, the birds in the trees, the bees buzzing?” They looked at me as if I was mad and out-of-step. I have been that way for many years, fortunately. I am not seeking silence but quiet. Quiet enough to listen to what was going on. What was really going on – the hum of nature. Quiet enough to slow down the constant voice in my head. Quiet enough to draw close to an object deserving of veneration, an ancient tree or the busy silence of growing plants. We don’t chatter through a movie or a concert, why would we when we go for a walk in nature, or when we are weeding? The soap opera of our lives can be put on hold for an hour or two at least. After San Francisco, I went to Tucson, Arizona. One of the pleasures was hiking in Sabino Canyon, outside the city. I was grateful to receive information about granite formations and Mexican Blue Oaks but more grateful to be left in silence to hike down the canyon. I know a little about Saguaro cactus and could talk and write about them. More profitable for my mind and body, was to walk among them in silence, absorbing them, paying attention to them. I had questions but I let those questions fade for the more pleasurable experience of being. Sabino Canyon. With noise comes a lessening of experience, a lessening of our attention and a diminution of our capacity for deeply felt experiences. Love and appreciation of nature, whether wild or tamed, requires us to be quiet. In order to hear we must listen. In order to feel we must touch. In order to garden we must shut up. “Speak not, I passionately entreat thee, till thy thought hath silently matured itself, till thou hast other than mad and mad making noises to emit: hold thy tongue till some meaning lie behind to set it wagging. Consider the significance of SILENCE.” Thomas Carlyle.